Delta Air Lines will launch a non-stop service between Los Angeles and Beijing on December 16, pending government approval. The start of the Beijing service marks Delta’s fifth daily non-stop flight from Los Angeles to the Asia-Pacific region, in addition to Tokyo-Narita, Tokyo-Haneda, Shanghai and Sydney. When launched, the US carrier will become the only airline to offer services to both Beijing and Shanghai from Los Angeles. Delta will deploy a B777-200ER on the route, which offers a two-class configuration, with 37 seats in Delta One (business), and 254 in Main Cabin – of which 36 have been designated as Delta Comfort+ seats with extended pitch. Flight DL9 will depart Los Angeles at 1230 and arrive in Beijing at 1745 the next day. The return service will see flight DL8 take off from Beijing at 1930 and touch back down in Los Angeles at 1545. The eastbound flight will be 13hrs and 15mins, while the westbound flight will take 12hrs and 15mins. The flight schedule is designed to offer customers with convenient connections to 39 key cities in China, including Chengdu, Shenyang, Qingdao, Xian and Hangzhou, on Skyteam partners China Eastern and China Southern. Meanwhile, the Los Angeles-bound flight will allow for connections with Delta to Denver, Las Vegas, Portland, San Diego and Phoenix as well as 35 other markets throughout the US, Canada and Latin America. “Delta’s new non-stop service to Beijing continues our expansion in China, providing our business customers with access to Beijing and beyond through our partnerships with the market’s leading carriers, China Eastern Airlines and China Southern Airlines,” said Ranjan Goswami, Delta’s vice president – sales, West. 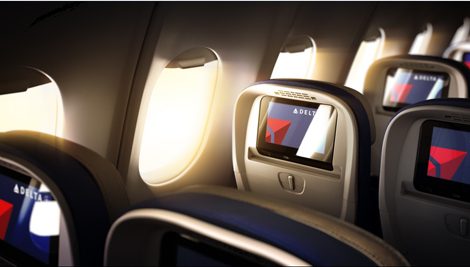 “This is an important route for customers who will enjoy the investments we’ve made to upgrade Delta’s airport facilities, onboard service, full flat-bed seats with direct aisle access in Delta One, wifi, and industry-leading in-flight entertainment”.